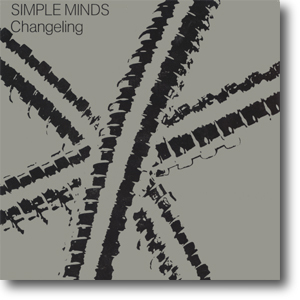 The lone single from Real To Real Cacophony was released several months after the album itself, issued as Simple Minds embarked on the second leg of their European tour. For the first time, the title track on the single was an edit. Premonition was taken from the band's first US show at Hurrah's Club, New York on the 24th October 1979. The gig was organised by New York promoter Ruth Polskey who received a credit on the sleeve. It was mixed back in Glasgow by Brian Young. But for some reason, the master tape was miscued and the B-side starts with the end of the previous song. The single was also released in Germany (as the band were touring there) with a different sleeve. Taken from the inner sleeve of Real To Real Cacophony, the moody image of the band was also used for the tour posters. Bruce had put Zoom Records into cold storage, unable to negotiate a better deal with Arista. Therefore he formed Schoolhouse Management with Robert White to directly look after the band's affairs. Despite the paltry "Zoom Records Production" credit, the single was effectively an Arista release.